Most of us probably think of repentance as something that prepares us to worship God. We view repentance as prelude to real worship, as prerequisite for praise. Worship leader and songwriter Graham Kendrick sees repentance as central. We do not always think of repentance as worship, but it can be much easier to sing a rousing hymn than to turn away from our favourite sin. A sinful act involves worship of the wrong kind, submitting ourselves at that moment to serve the appetites of our pride or lust, and so repentance is literally a transfer of our worship back to the One who rightfully owns it . . . Worship has been misunderstood as something that arises from a feeling which "comes upon you," but it is vital that we understand that it is rooted in a conscious act of the will, to serve and obey the Lord Jesus Christ. The feelings, the joy of having been forgiven, follow on as a consequence of our reunion with him. 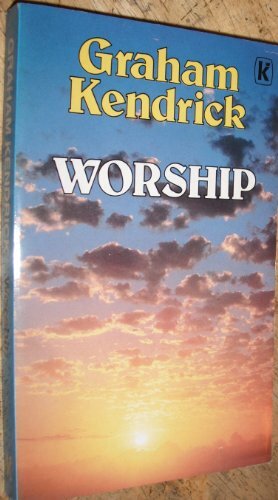 - Graham Kendrick, Worship, (Kingsway Publications, 1984), 26. Remember that repenting from sin is quite different from confessing sin. Repentance is turning, changing course. Kyrie eleison. Lord, have mercy, and by your grace, help us to turn away from sin. Today, help us to turn toward you. Amen! Today's Worship Quote is from songwriter Graham Kendrick. Everybody worships. Whether it is a hero, possessions, success, pleasure, a political cause, a carved idol or oneself, the way we live and behave makes evident the things we love and give ourselves to. It is in our very nature to worship, and that inner drive is God-given; the disaster is that as part of a fallen race, we have replaced the object of our worship. To be converted to faith in Jesus Christ is to return to the worship of the true God, and to dethrone all rivals to his authority. - Graham Kendrick, Worship (Kingsway Publications, 1984), 24. May we continue to turn our God-given worshiping nature toward the only worthy object. The source becomes the goal. Today's WORSHIP QUOTE is another from British worship leader and songwriter Graham Kendrick. Our approach to God is conditioned by our concept of him, whether accurate or distorted. If we suspect that he is too busy with more important matters, as if we think there is a great queue in front of us, we won't want to bother him. If we see him as a tyrant, watching sternly for any false moves, ready with a big stick to wallop us, we will come very warily! If, on the other had, we see him as a soft and indulgent "super-daddy," we may come presumptuously, blundering carelessly onto holy ground. If, however, we know him by the revelation of the Holy Spirit and in our daily experience of him as a personal loving heavenly Father, and are acquainted with both his gentleness and his awesome holiness, we will run to him as children with open arms and yet deepest respect. The most important Person who ever existed loves you and me! The creator of the universe has revealed himself as having the tender heart of loving father, and has by his Spirit made us his true-born children. He knows your name, he knows my name, he laughs and weeps with us! In him we have discovered that we are valued infinitely far above our worth. How can we keep quiet about such a God? - Graham Kendrick, from WORSHIP, Chapter 6, "Wired for Worship (1) Worshipping the Father," Kingsway Publications, 1984, p.78. Lord God, show us more of yourself. Let us see your holiness and your tenderness; let us know your power and mercy. Accept our worship not because of our faithfulness (for we fail so often), but because of the faithfulness of your Son, our Savior, Jesus Christ. Amen!